Created in acrylics on a 14" x 11" stretched canvas. Artist Reply: Thank you so much, Vernonette Gaddy! That was my intention. So glad it takes you back in time. Artist Reply: Thank you so much, Renata Cavanaugh! So glad you like her! This is just the best. It touches my inner happiness. It puts me in the mood of my youth. The colors, the feel, the detail. 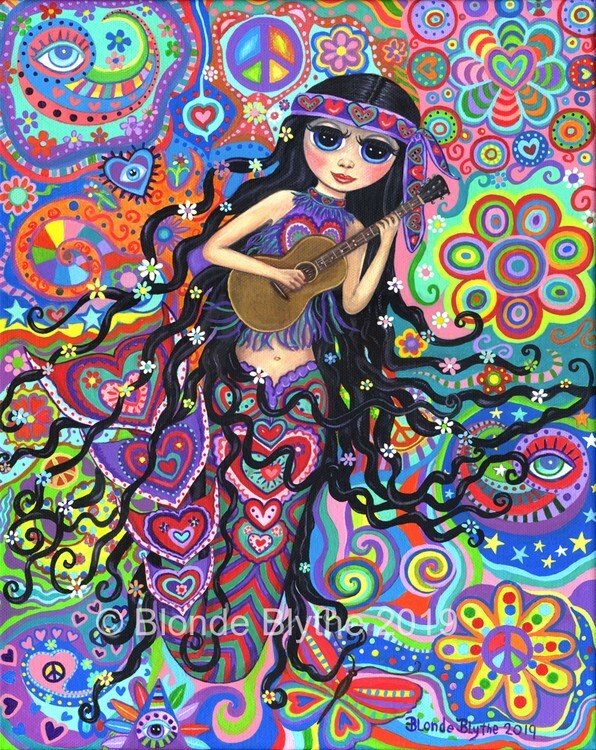 Blonde Blythe has surely captured the feel of a generation with her art. I love it. Artist Reply: Thank you so much, Dennis finley! So glad it brings back happy times!